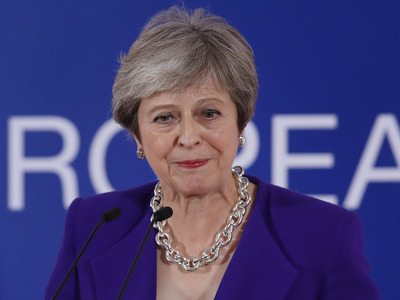 GettyTheresa May, the British prime minister. Politicians have uncovered evidence of a dark advertising campaign on Facebook, in which Brits were encouraged to lobby against Prime Minister Theresa May’s Brexit plan. An influential group of politicians has uncovered evidence of a dark advertising campaign on Facebook, in which users were encouraged to lobby against Prime Minister Theresa May’s Brexit plan. In findings published on Saturday, the Digital, Culture, Media, and Sport Committee said an anonymous organisation called Mainstream Network spent £257,000 ($US335,148) on ads that reached up to 11 million people over a 10-month period. 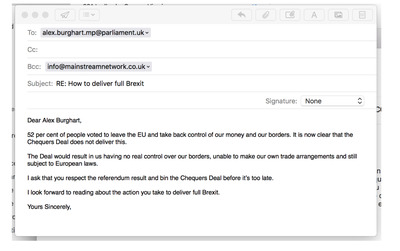 The “sophisticated” campaign included a direct call to action for users to email their MP asking them to “chuck Chequers,” short-hand for May’s controversial Brexit negotiating position agreed at her Chequers retreat in July. “Here we have an example of a clearly sophisticated organisation spending lots of money on a political campaign, and we have absolutely no idea who is behind it. The only people who know who is paying for these adverts is Facebook,” said the committee’s chairman Damian Collins. It’s the kind of activity that could be made public with Facebook’s new political ad transparency tools, which were launched in the UK this week. But they have come too late to capture the Mainstream Network campaign, and a committee chairman said Facebook should release details of who is behind the adverts independently. “On November 7, all advertisers will have new requirements before they can place political ads in the UK, including Mainstream Network. These advertisers will need to confirm their identity and location through an authorisations process and accurately represent the organisation or person paying for the ad in a disclaimer,” said Rob Leathern, director of product management. 89upThe Mainstream Network Facebook ad on the left, and the website on the right. The company also said Mainstream Network could be in breach of the EU’s new GDPR privacy laws. 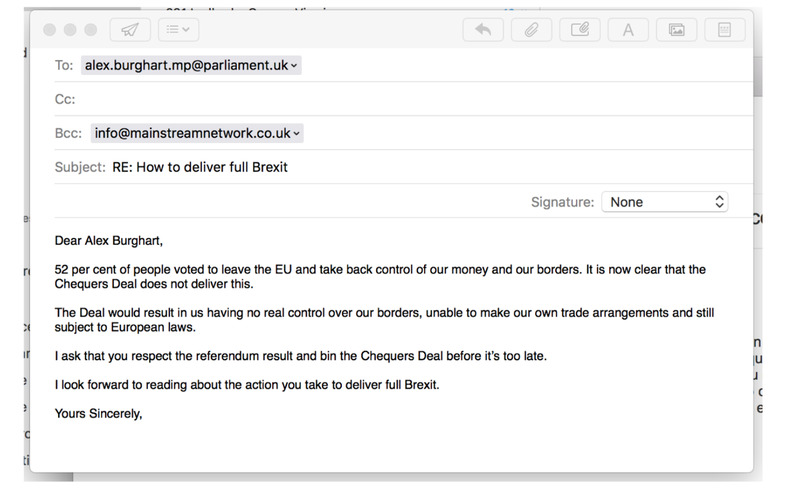 This is because whenever a user emails their MP from the site, Mainstream’s own address is copied, meaning that the user’s email address could potentially be being stored by the organisation.